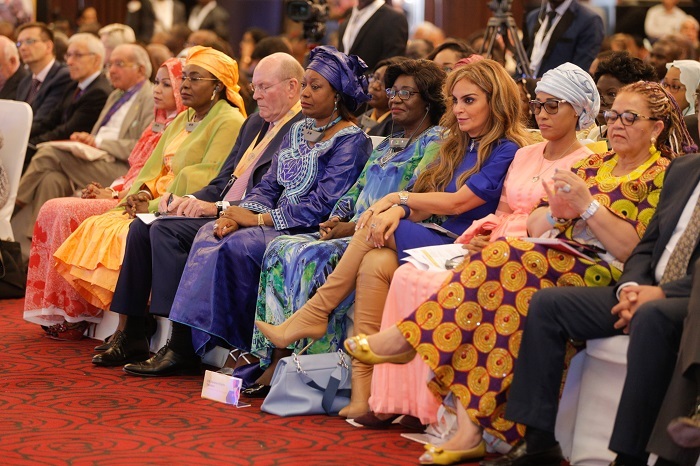 Merck Foundation, the philanthropic arm of Merck KGaA Germany plans to conduct 5th Edition of ‘Merck Africa Asia Luminary’ under the patronage of The President of The Republic of Senegal, H.E. MACKY SALL and The First Lady of Senegal, H.E. MARIEME FAYE SALL, and in partnership with the Ministry of Health of Senegal. “During the conference, Merck Foundation will also celebrate two important occasions; the 350th Anniversary of Merck, the World’s Oldest Pharmaceutical & Chemical Company established in 1668 and the 1st Anniversary of Merck Foundation,” Dr. Kelej added. The President of The Republic of Senegal, H.E. 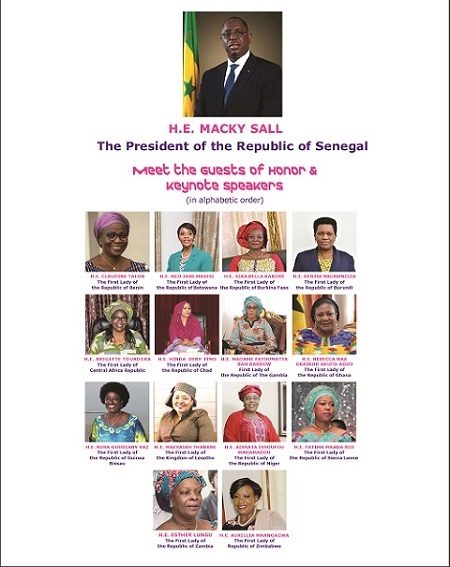 MACKY SALL will deliver his address and closing remarks on the Day 2 of the conference. Twohigh-level Ministerial panels will also take place. The first high-level Ministerial panel on ‘Building Fertility care capacity and breaking the Infertility Stigma in Africa and Asia’ will involve Hon. Abdoulaye Diouf SARR, Minister of Health and Social Action of Senegal; Hon. Sarah Opendi, Minister of State for Health of Uganda; Hon. Dr. Chitalu Chilufya, Minister of Health, Republic of Zambia; Hon. Susan Shabangu, Minister of Social Development, South Africa; Hon. Dr. Rashid A. Aman; Deputy Minister of Health, Ministry of Health of Kenya; Dr. Wim Leereveld, Founder-Access to Medicine Foundation, Chairman Index Initiative building, World Benchmarking Alliance; Prof. Oladapo Ashiru, President of Africa Fertility Society; Prof. Joe Leigh Simpson, Past President of International Federation of Fertility Societies – IFFS; Dr. Kamini Rao, Chairperson of IIRRH, India; Prof. Dr. Satish Kumar Adiga, Professor & Head, Department of Clinical Embryology, Kasturba Medical College, Manipal Academy of Higher Education; Mr. Paolo Carli, Head of Middle East & Africa, Merck Biopharma; Dr. Rasha Kelej, Chief Executive Officer, Merck Foundation. The second high-level Ministerial panel on ‘The role of Merck Foundation together with Governments to improve access to equitable healthcare solutions in Africa’ will involve Hon. Dr. Idi Illiassou Maïnassara, Minister of Public Health of the Niger; Hon. Aziz Mahamat Saleh Ahmat, Minister of Public Health, of Chad; Hon. Dr. Pierre Somse, Minister of Health and Population, Central African Republic; Hon. Dr. Alpha Tejan Wurie, Minister of Health and Sanitation, of Sierra Leone; Hon. Dr. Thaddée NDIKUMANA, Minister of Health and Fight against Aids, of Burundi; Hon. Dr. Isatou Touray, Minister for Health and Social Welfare, of The Gambia; Hon. Julieta Kavetuna, Deputy Minister of Health and Social Services, of Namibia; Prof. Dr. Kailash Sharma, Dean, Academic Projects, Tata Memorial Centre, India; Prof. Dileep Mhaisekar, Vice Chancellor - Maharastra University of Health Sciences (MUHS) India; Prof. Abdel-Rahman Zekri, Vice Dean - National Cancer Institute, Cairo University; Dr. Rasha Kelej, Chief Executive Officer, Merck Foundation. Merck Oncology Fellowship Program focuses on building professional cancer care capacity with the aim to increase the limited number of oncologists in Africa and Developing countries. The program provides One-year fellowship program at Tata Memorial Centre - India, One and half-years Oncology Fellowship programs at University of Malaya - Malaysia, Two years Oncology Fellowship Program at University of Nairobi - Kenya and Two years Master degree in Medical Oncology at Cairo University - Egypt, in partnership with African Ministries of Health, Local Governments and Academia. Launched in 2016, over 43 candidates from more than 17 African countries have rolled in the Merck Oncology Fellowship Program. The program will continue to build cancer care capability in African countries such as Botswana, Cameroon, CAR, Ethiopia, Gambia, Ghana, Guinea, Liberia, Mauritius, Namibia, Niger, Nigeria, Rwanda, Senegal, Tanzania, Uganda and Zambia. Merck Foundation provided for more than 50 candidates, three months to six months clinical and practical training for fertility specialists and embryologists in more than 29 countries across Africa and Asia such as: Chad, Niger, Central African Republic, Cote D’Ivoire , Ghana, Ethiopia , Uganda, Kenya, Tanzania , Zambia , Nigeria, Benin, Mali, Burkina Fuso, Senegal, Guinea Conakry, Sierra Leone, Liberia, Cameron, Rwanda, Botswana, DR Congo , Congo Brazzaville, Gambia , Nepal, Sri Lanka, Bangladesh, Myanmar and Cambodia. “Merck more than a Mother” launched in 2015, is a program of the Merck Foundation, the foundation drives many of our initiatives and programs in the area of build health care and research capacity and improves access to equitable healthcare solutions.